Eggnog is boring. 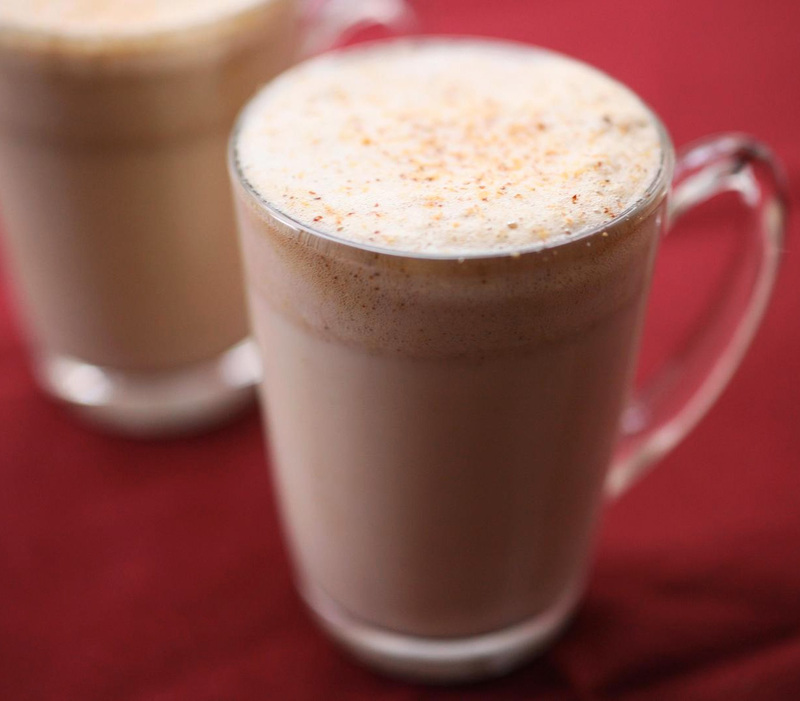 And for some people, the thought of eggnog triggers reactions like nausea. Fair enough… We have an alternative! Devised around 1820 by a British gentleman named Pierce Egan, the Tom and Jerry is a sophisticated variation of the household Christmas punch in the US of A. Egan used his version of eggnog as a publicity tool to promote his book Life in London or, the Day and Night Scenes of Jerry Hawthorn, esq., and his elegant friend, Corinthian Tom, accompanied by Bob Logic, the Oxonian, in their rambles and sprees through the Metropolis, which appeared on July 15th, in 1821. Whisk egg whites and cream of tartar to stiff peaks. In another bowl, whisk yolks, 2 tsp. rum, sugar, cinnamon, allspice, and cloves until thick. Working in two batches, fold egg whites into yolk mixture. Cover bowl with plastic wrap, chill batter. Before serving, heat milk in small saucepan over medium heat, keep warm. Put 1 heaping tsp of batter into a mug, stir in 1-2 tsp each of rum and cognac. Fill mug with 6 tsp. milk, stir until frothy and garnish with nutmeg. Repeat.